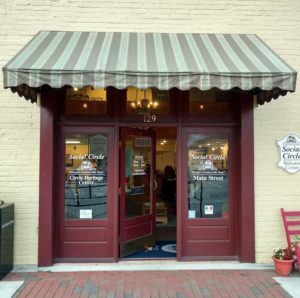 Our Welcome Center serves as a source of information for visitors and residents and also serves as a meeting place organizations within the city. Drop by any day Monday – Friday from 8:30 am – 4:30 pm to learn about local businesses, Social Circle history and the city’s amenities. There are many artifacts related to the city’s history housed at the Welcome Center. You may be able to see a piece of the meteor that fell in Social Circle, pictures of residents, books published by local authors and historic documents. We have a collection of old Social Circle High School year books as well as images scanned from year books through the present years. 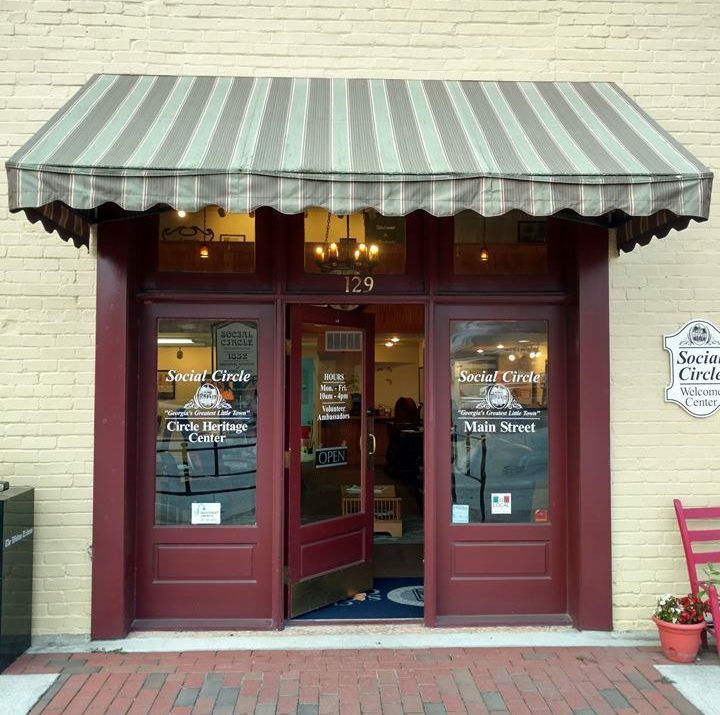 Come have a cup of coffee, share your experiences from Social Circle and learn something new about Georgia’s Greatest Little Town. The Welcome Center is staffed by volunteers. If you are interested in volunteering at the Welcome Center, please complete our Volunteer form.